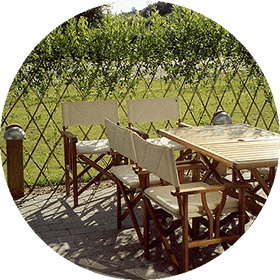 Take comfort surrounded by our dried willow fences! With zero maintenance required, they’re the perfect solution for your yard. 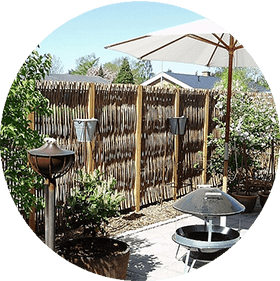 Combining dried, barkless fencing with beautiful creepers gives your space a uniquely rustic feel. Bring your style to life with our harlequin fencing in living willow! At first glance, our acoustic fencing doesn’t look like something one would consider a “noise barrier.” Each one consists of woven stems covered in leaves that change colour with the seasons. Whichever one you choose, you can be sure it’ll fit an urban landscape just as well as more rural settings.